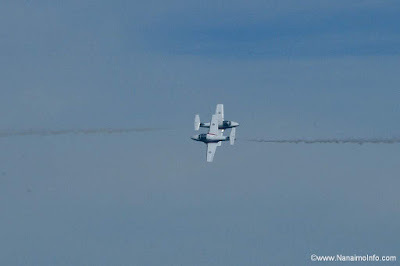 For three years now me missus and I know it is truly Spring when we can head up to Comox to watch the amazing Snowbirds going through their paces as they practice for this year's season. This is the third year now, and the weather has always been more summer like than even spring like. 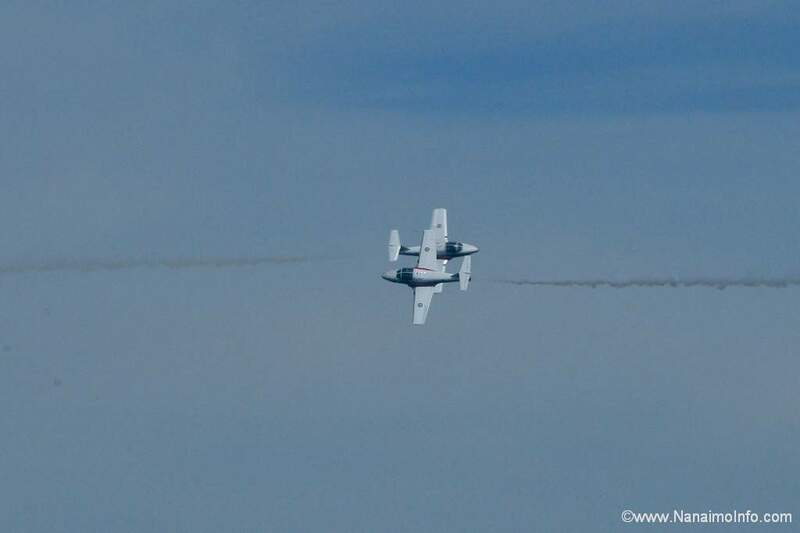 The Snowbirds practice at Comox for about two weeks in preparation for their shows this season, one of which will be in Nanaimo this summer. While they do not officially bill their practices as 'shows' and they do not publish a 'schedule' and the shows may be called of or limited for any number of reasons, the practice is quite often a demonstration of all their precision flying which has pleased crowds for years. Their precision is amazing and one photo which I have not posted here would have you believe it is only one single plane in view, however there are actually three, flying so precisely they appear as one. The speed with which they perform leaves very little margin for error as during shows they are flying at speeds ranging from 115 mph or 185 km/h to 370 mph or 590 km/h. The aircraft themselves with smoke tanks attached are capable of speeds of 470 mph or 750 km/h. Their last practice this season is April 25 and while they do not advertise a schedule they do practice once in the morning and once in the afternoon. The practice we attended started at 1:45pm and the CF18 practice started at 3:30 pm. You can view the Snowbirds from Tee Pee Campground, which is actually on the Comox airbase. There are washroom facilities and a concession stand as well. A great way to spend a day on Vancouver Island. 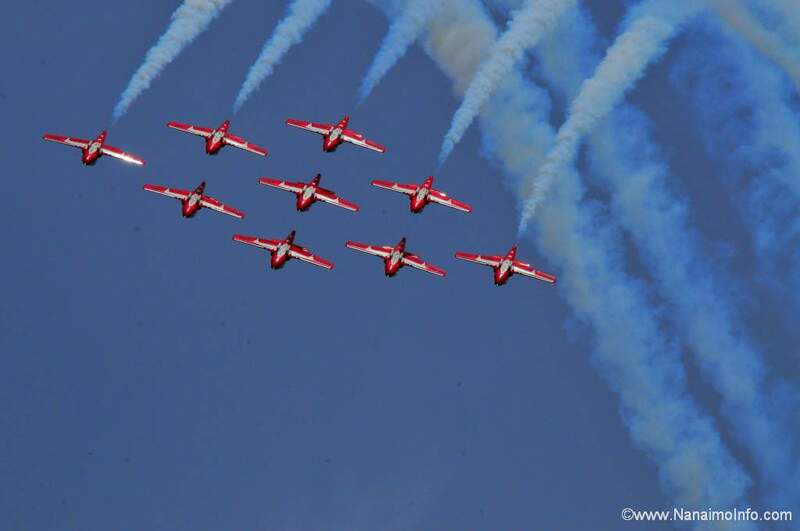 You can learn everything you ever wanted to know about the Snowbirds by visiting their webpage HERE.